From 1985 to 2010, the celebrated boxing historian Barry Hugman edited the Annual British Boxing Yearbook, thirty-six were published in all. 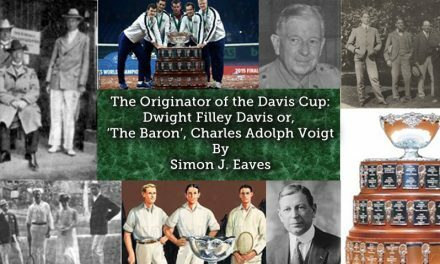 In addition to documenting the past season’s events, the yearbook provided news of the meticulous and complete revision that he intended to make of the historical lineages of the British, Commonwealth, European and World Championships accepted until then. 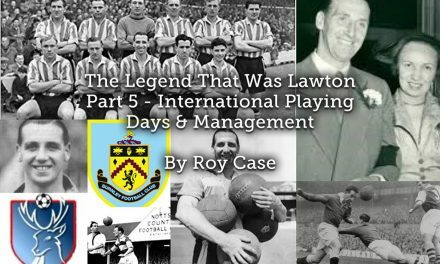 He benefited from the collaboration of a team of experts, among the most prominent was Harold Alderman, a tireless researcher of data in libraries and archives. 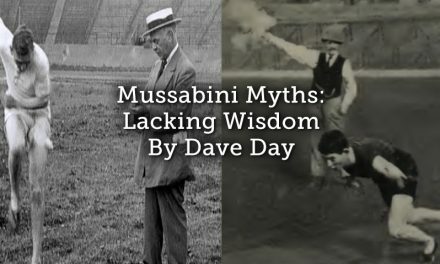 The bouts from the origins of modern boxing with gloves to current events were all scrutinized. 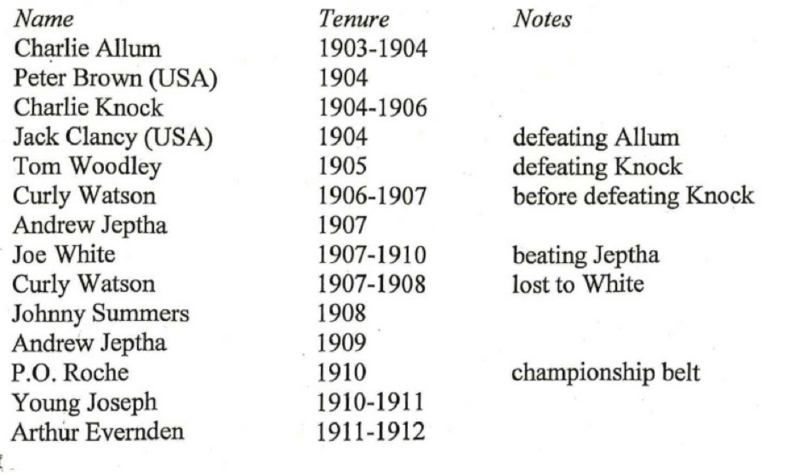 The lineages of these championships as they are written in the 2010 edition appeared profoundly different compared to those mentioned in the first edition of 1985. These discrepancies were not without polemics. Hugman was a member of the International Boxing Research Organization (IBRO) and not all members accepted his work. 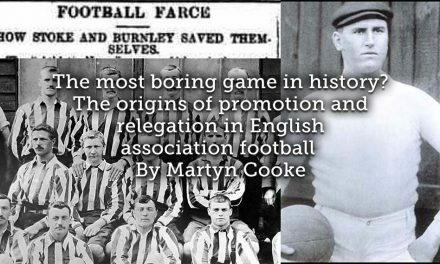 If the lineage of the European Championships did not present major changes and that of the World Championships was already the subject of discussions beyond the circle of experts, one of the most controversial headlines introduced by the yearbooks concerned the backdating of the first Empire and Commonwealth Championships from 1910 to 1887 when the Englishman Chesterfield Goode and the Australian Tom Lees met in London. This meeting had been attributed to the English Middleweight Championships and now instead lost that credit. 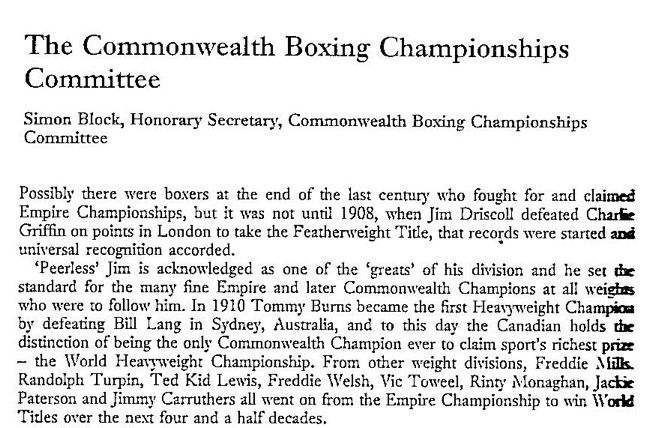 How could it be that the historiography prior to Hugman/Alderman was able to ignore how numerous encounters attributed to the British title could be considered valid for the title of the Commonwealth while numerous meetings of British championships had no value? 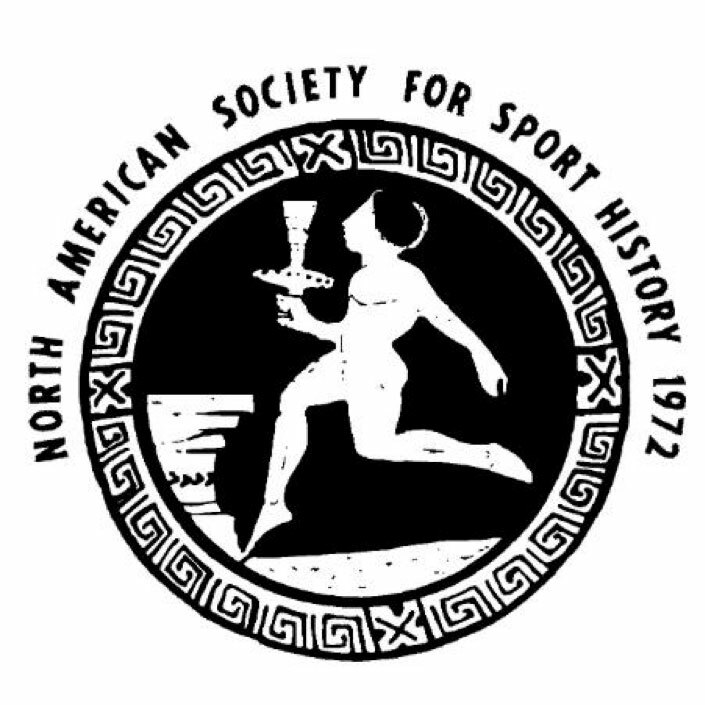 The National Sporting Club (NSC) which had been established in 1891, failed to exert control over British boxing organizers, and newspapers proceeded on their own. In 1909 Lord Lonsdale, a benevolent defender of London boxing, introduced the title of “the Lonsdale Belt” that contributed to regulating the transmission of British titles until the creation of the British Board of Council in 1929. 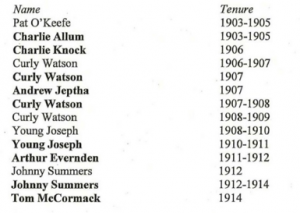 The most cited historians, we mention here Gilbert Odd and Maurice Golesworthy, had for decades transmitted the lineages collected in the yearbook of 1985. 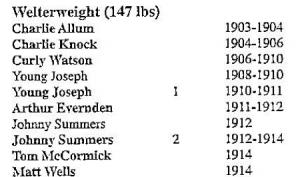 The press and organizers didn’t respect the championship rules, which later strengthened by the NSC and the Lonsdale Belt, and, more importantly, some boxers who fought for the British title were actually ineligible in that category. 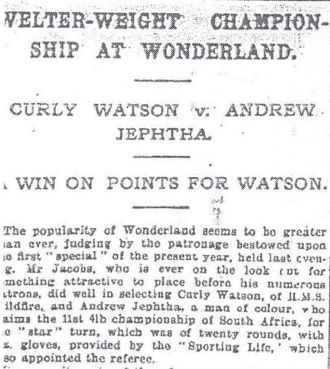 For example, the South African Andrew Jeptha, who the bibliography linked to Odd/Golesworthy was considered by some experts, as the first black boxer to have won an English title on 25 March 1907 in London in the welter weight against Curly Watson, he could have been eligible for the Empire title. 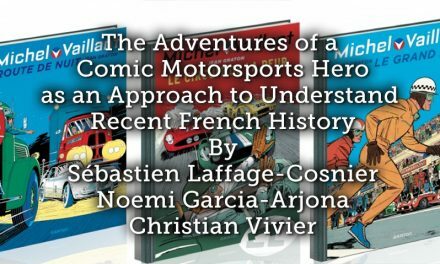 The last yearbook of 2010 did not even mention this as a possibility, since the bout did not comply with the Queensberry rules. 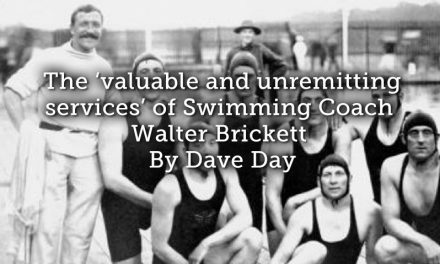 The principles of eligibility and non-compliance with the rules therefore explain a large part of the elimination of British titles and helps us to understand the multiplication of Commonwealth titles. Personally, I sent a letter to Alderman asking about the reasons for this oversight and he replied that at the time Commonwealth titles were considered almost mythical and pre- historical by nature and therefore remained unrecognized. 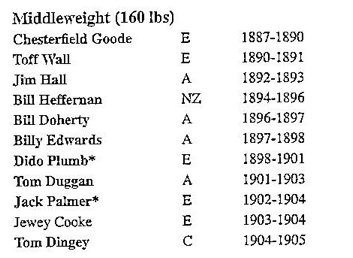 Still, in 1887 Good and Lees had entered the ring to fight for the British title. All references to the British Empire were non-existent. They should instead have been cited and attributed. As for Jeptha, some English newspapers, and later other press sources such as the German-language book Kosmopolit of 1927, considered his match with Watson of 25 March 1907 as valid for the British title. 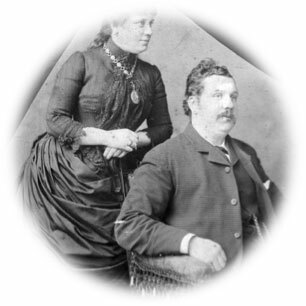 A voice in total opposition to Hugman and Alderman was that of Bill Matthews, another passionate researcher, author of a book entitled quite significantly English Champions 1872-1910. The final date was clearly related to the introduction of the Lonsdale Belt and a first ordering of lineages. Matthews considered in absolute terms all the fights that the majority of the press had considered valid for the British Championships. In this way, he also disagreed with Odd/Golesworthy, but was clearly closer to the latter than to Hugman. 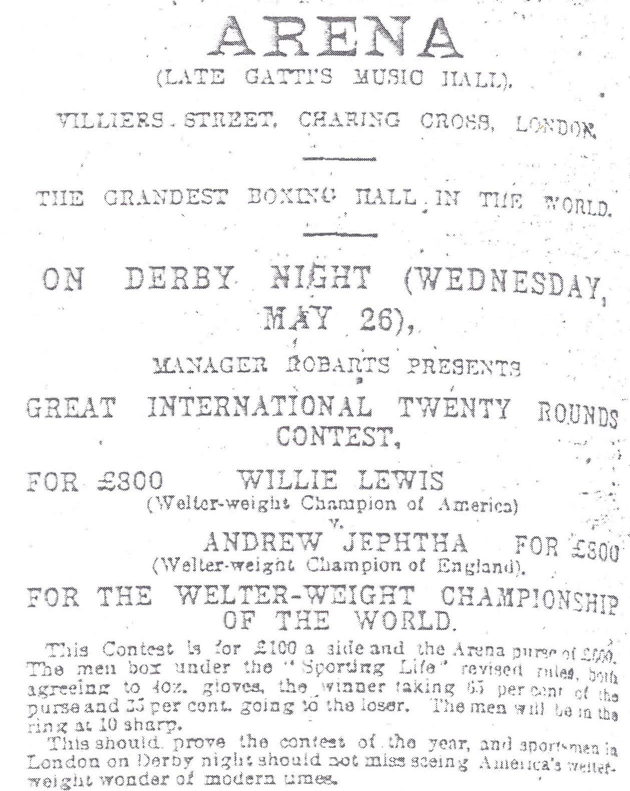 For Matthews, Good vs. Lees and Jeptha vs. Watson were in effect valid encounters for the British title. 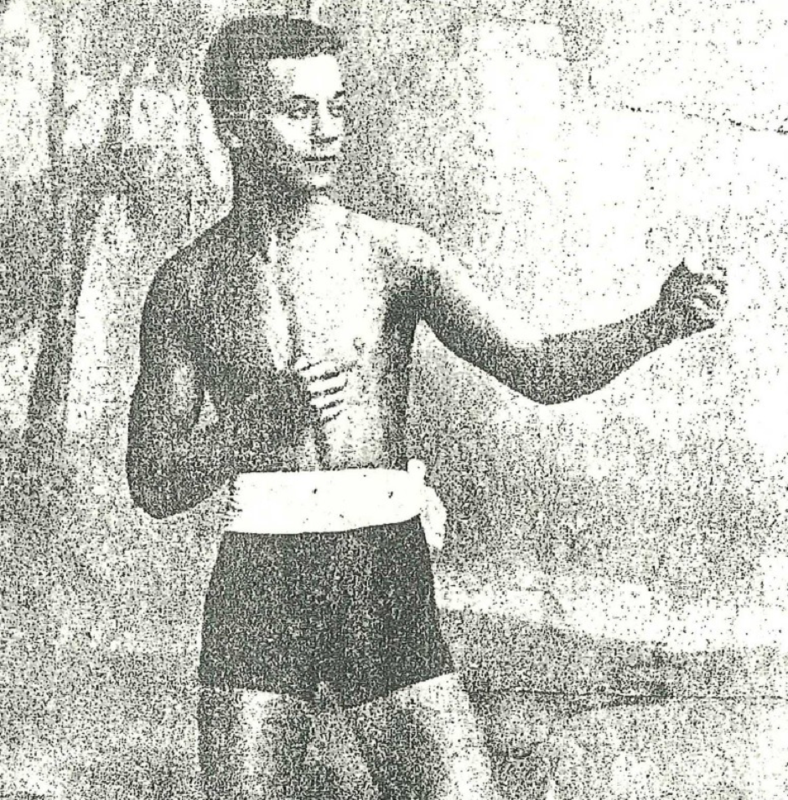 However, a part of the press, including the famous Sporting Life, had considered the fight between the black athlete Ed Denver Smith and Bill Armstrong of 25 July 1902, valid for the indigenous title. Even though it was primarily considered valid for the World Heavyweight Championship for black boxers. 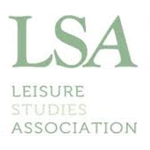 Sporting Life had emphasized as “in the UK no color line bar the black boxers to the titles”. 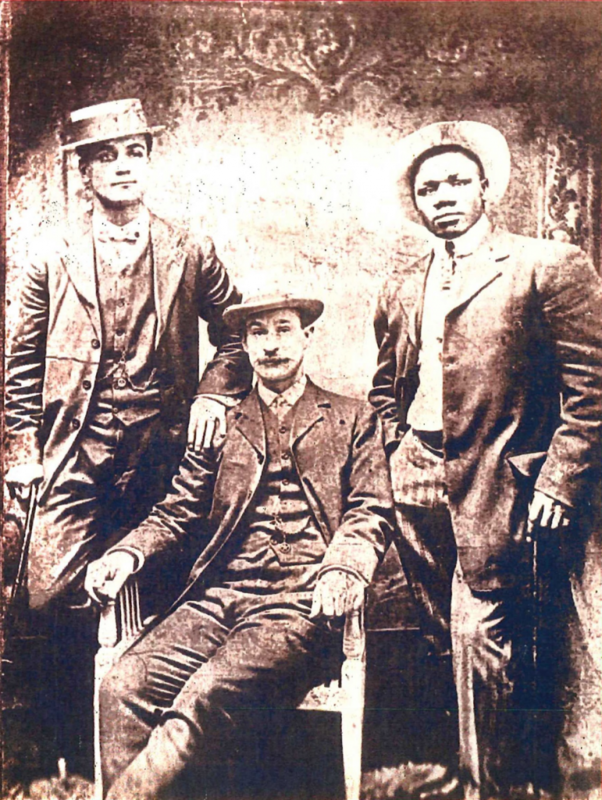 Matthews recognized Smith as the first black boxer champion for Great Britain. A paradoxical situation created by the revision of Hugman and Alderman was that, despite the amnesia surrounding the Jeptha situation, defeated by Watson himself in the return bout of 18 November 1907, it appeared that Watson had held the British title from 1906 to 5 March 1910, when he died following a severe blow during a fight, without any valid defense match. 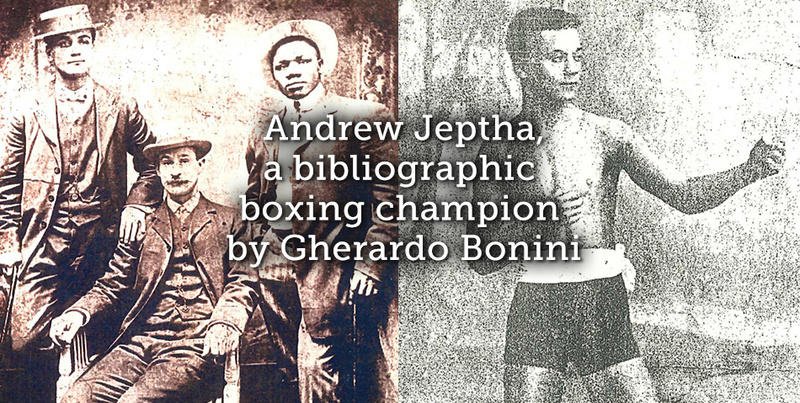 Also in 1910, a nearly-blind Jeptha retired from the ring. Born in South Africa on 30 December 1879, his career had begun in 1900 and in 1902 he had come to seek his fortune in England. The two bouts with Watson were not the only important ones in his career. He died in South Africa in 1920. 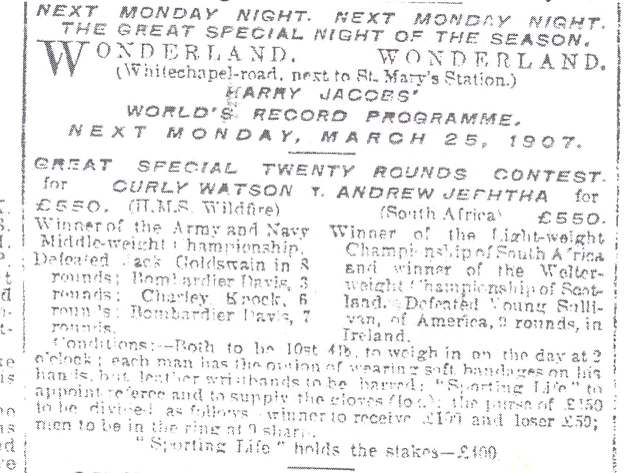 The site boxrec.com considers his meeting with Watson of 25 March 1907 valid for the Imperial title. Not all newspapers considered this an authentic match for the British title but it is certain that the two fighters did not enter the ring for the Imperial title and the winner never made a claim such a crown. The match won by Jeptha on 25 March 1907 is however the legacy he left to the historians who can label him the first black bibliographical champion of England between 1907 and 1987. 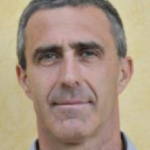 Gherardo graduated from the University of Florence after reading Moral Philosophy and also holds a Diploma in Archival, Paleography and Diplomacy from the State Archives of Florence, which he achieved in 1991. 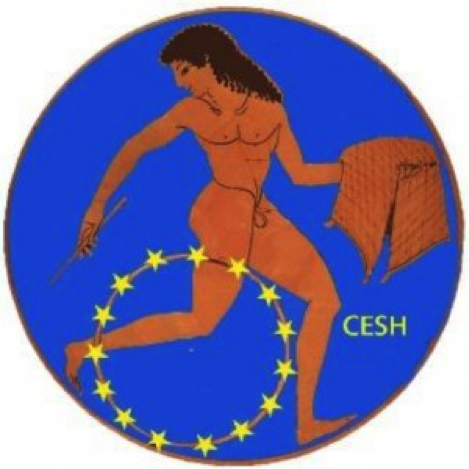 He has worked in the Historical Archives of the European Union since 1989 and since 2013 has been deputy director. 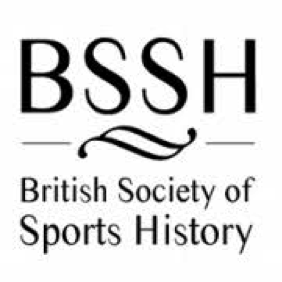 His main area of study is European Sport between 1815-1945 with special emphasis on Austrian sport, weightlifting and swimming. 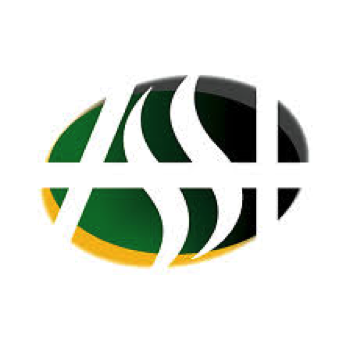 Just to advise here that the reference to Ed Denver Smith and Bill Armstrong is incorrect. It should read ‘Denver’ Ed Martin and Bob Armstrong. Ed Denver Smith (real name Corcoran) was a contemporary boxer but he was a WHITE heavyweight from Birmingham (UK) who moved to the USA in the late 19thC. No idea who Bill Armstrong is but the writer is clearly confusing him with the actual black boxer who fought Martin (named Smith here) in the fight referenced – and his name was Bob Armstrong. Both Armstrong and Martin were both black and very famous fighters of the time. yes, you’re perfectly right ! Unfortunately, I was inaccurate. 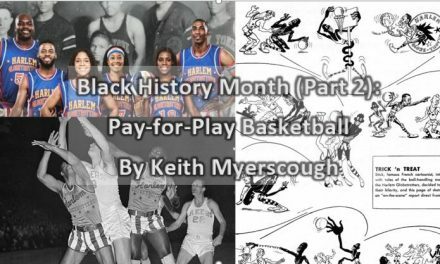 I managed wrongly the information received by Kevin Smith, the famous historian of black prizefighter. 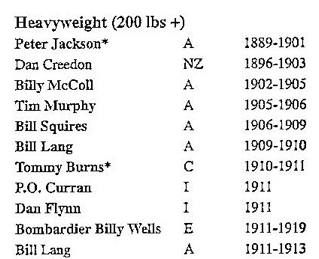 So, I confused names and surnames, but I intended the match of 1902 Bob Armstrong vs. Martin. Thank you very much for your kind and correct amendment.